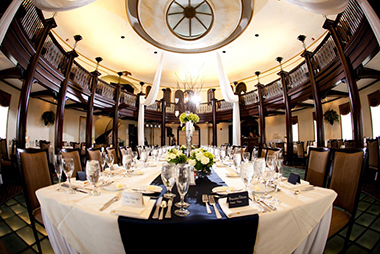 Your dream wedding awaits in the ballrooms and gardens of the historic Hotel Baker. 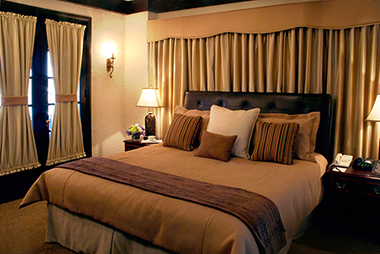 From luxurious suites to spa rooms and more, you'll find every elegant comfort and service at Hotel Baker. 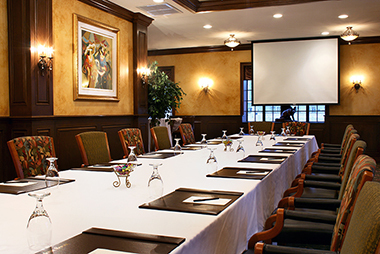 Depend on Hotel Baker's facilities and services for the ultimate meeting or special occasion experience. Celebrity Wedding - as seen in Us Weekly! Jenny McCarthy and Donnie Wahlberg chose the historic Hotel Baker to celebrate their wedding weekend with family and close friends - it was definitely an affair to remember! Best wishes to the blissful couple! Hotel Baker offers the epitome in all things luxurious -- elegant guest rooms and suites, state of the art amenities, exceptional dining and lounge venues, and a scenic riverside setting that's second to none. Anywhere. If you're planning a wedding, party, banquet, conference or other event, we invite you to talk with our sales and catering professionals who are available to assist you. Our incomparable meeting and banquet facilities can accommodate groups from 10-300 in an atmosphere of sophisticated elegance and grace. And in season, Hotel Baker's charming rose garden and outdoor patio dining create a lovely, memorable setting. You can be confident that everything will be done according to the highest level of service and careful attention to detail. For reservations or catering information, call 630-584-2100 or 800-284-0110. 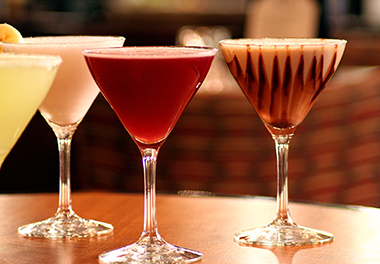 A tradition of excellence awaits you at historic Hotel Baker in downtown St. Charles. "Our children threw us a surprise anniversary party and Hotel Baker handled all of the important details. 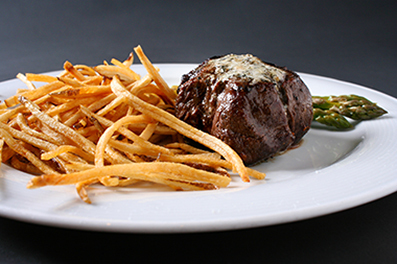 We were very impressed with the service, and the dinner was excellent!" "I held a bridal shower for my niece in the rose garden...and it was just a perfect afternoon! From the delicious lunch menu to the special dessert they served, everything was exquisite. Thank you, Hotel Baker "
We just can't say "thank you" enough to Hotel Baker for their part in making our daughter's wedding such a memorable day. From beginning to end they were AWESOME!! Dinner at the Rox City Grill! Hotel Baker was built in 1928 and is now listed on the National Register of Historic Places. It provides a unique combination of old world charm and modern amenities.